This special issue of ephemera maps social practices of collective organizing on a low budget in cities today. 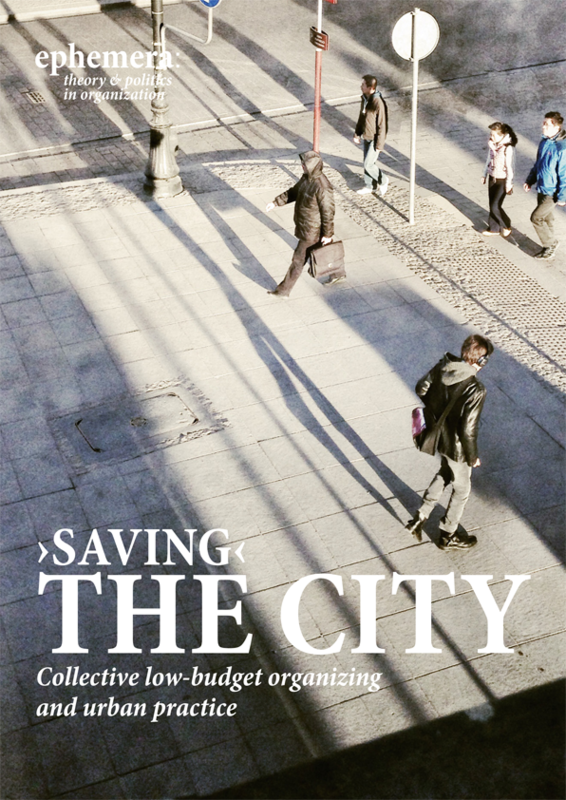 ‘"Saving" the city’ expresses the imperative to economize while at the same time harbouring the desire to ‘rescue’ – recollecting an urban civil society via mobilising the public, helping neighbourhoods, creating public spaces, and heterogeneous possibilities of living to cope with today’s and future challenges. To overcome established, purely economic dimensions of saving, the contributions explore the complexity of ‘saving’ through the interplay of organizations, resources, lifestyles and moral economies. We collected contributions from an interdisciplinary set of researchers as well as urban ‘practitioners’ to explore the way in which discourses of austerity, of resource scarcity and urban life interconnect and are producing a sort of different urban practice.